A family home needs to change and grow as the family does. Sometimes this happens slowly over time, but you might also want to carry out a big project to update everything. Home renovation can help you fall in love with your home again, but it can also be very disruptive to your life. No one wants to be unable to use one of their rooms for weeks or even have to move out of their home while work is being carried out. Fortunately, it’s possible to plan any renovations so that they fit around your family life. The first step to making home updates work for you is to choose the best time to have them carried out. There are sensible times and not so sensible times to start having working done on your home. If it’s the week the kids go back to school, you probably don’t also want to be dealing with a construction mess in your kitchen. It wouldn’t be ideal to have contractors coming in and out just before Christmas. Think about when it might be better to do things, preferably during a quieter period when not much else is going on. You might have some big plans for your home. Perhaps you want to transform the whole thing to give it a new look. However, having people working on your home for weeks or even months on end probably isn’t going to put you in a good mood. And if you don’t want to be displaced from your own home, you need to plan carefully. Instead of one huge renovation project, break up your plans into smaller projects. You can then spread them out and take breaks, avoiding the need to have your lives disrupted for so long. Choosing the right contractor is vital if you don’t want them to be a huge inconvenience to you. You need them to stick to their deadlines, as well as your budget, so you can get back to enjoying your newly refreshed home. When you choose Kre8 Construction’s home renovations, they will do their best to work around you so that you don’t need to leave your home. You shouldn’t have to go and stay in a hotel or bother friends and family while your home is renovated. To choose the right contractor, you can start by asking for recommendations or just search online. Remember to put safety first when you’re carrying out any work on your family home. Your contractors should know how to maintain strict safety standards, but you also need to be careful. Keep an eye on the kids and, if they’re old enough, make sure they know how to behave while renovations are ongoing. Sometimes you might need to keep away from an area of the house to ensure everyone stays safe. 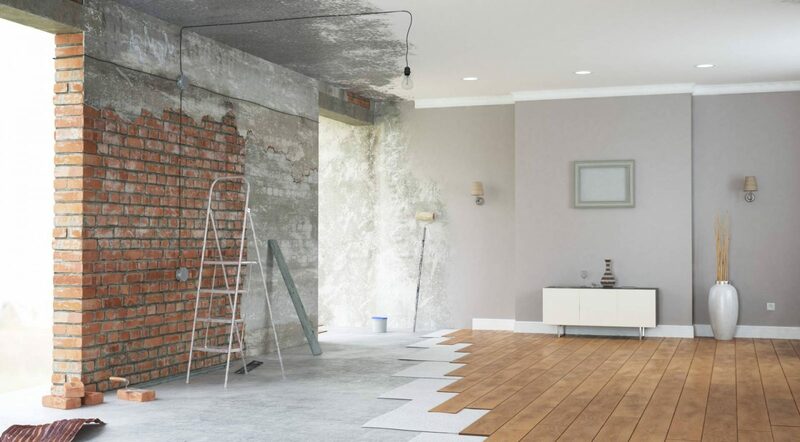 If you’re planning to update your home in any way, you can stay in it while you complete your project. Plan ahead to keep everything running smoothly.